Materials: Plywood, pallets, light, screen print, photographs, c-print, backlit medie, light source. 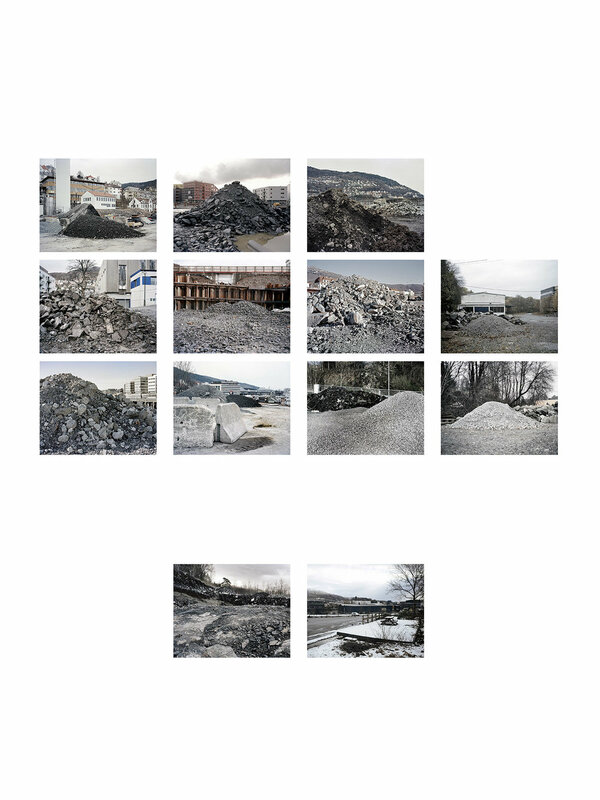 An installation work that display photographic series revolving around the outskirts of the cities. 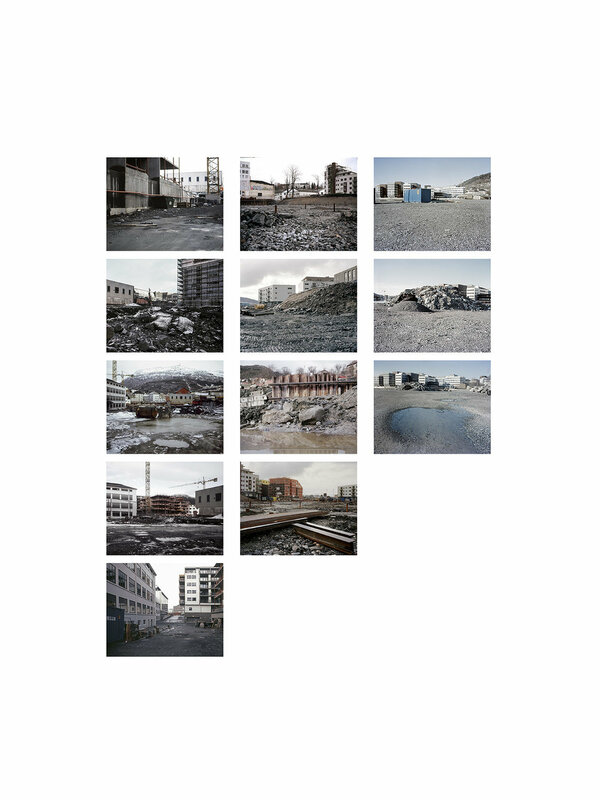 Places in transmission, in-between and construction, all areas where value is in the making or decreasing, slumbering, waiting to become a part of society once again. 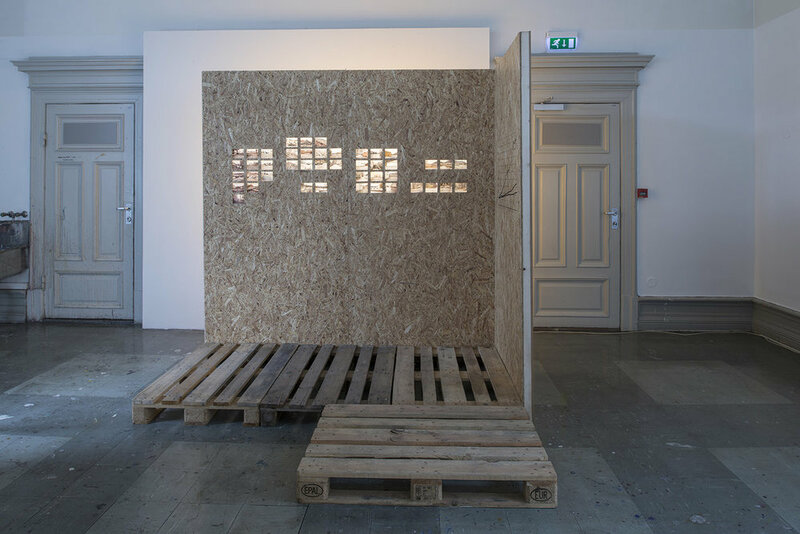 In the installation there also is a silkscreen directly on the plywood-wall, a graph showing the economic relations between the consumer price index, building costs and housing prices in Norway, 1979-2015, SSB (Statiskitsk Sentralbyrå). Areal map showing possible needs for the expansion, city of Bergen in the future. From city development departments, 1970, Bergen Kommune.